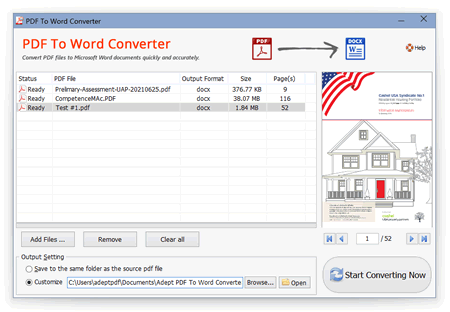 Adept PDF to Word Converter is a program to convert Adobe PDF documents into Microsoft Word format with a minimum loss of formatting information. 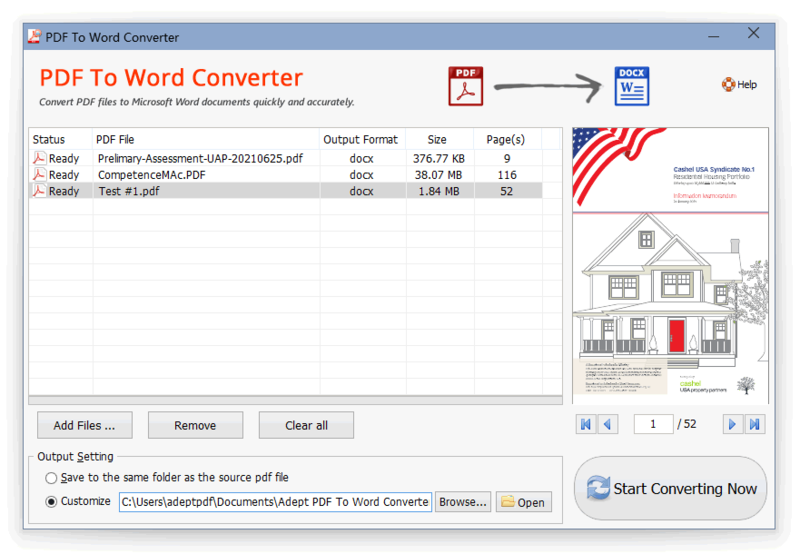 This conversion utility instantly converts PDF files to formatted MS Word documents preserving layout and graphics. Convert PDF files into Microsoft Word documents. Automatically resize PDF page to fit your required Word page size. Support deletion of graphics and pictures from the generated Word document. Two optimization modes for PDF to Word conversion. Convert PDF file to flowing MS Word document without text boxes.